From recent trip home. 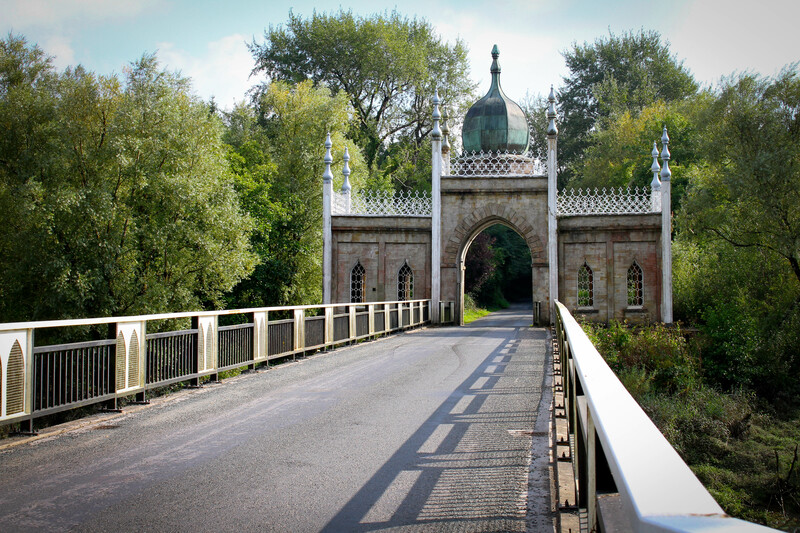 Near the village of Cappoquin, County Waterford, South East Ireland. MB – Looks like there is evidence of a couple of bullets being shot at the sign. I know that you were not the perpetrator, as clearly MB is a man of peace…..
Egads Mr Robbo! Well spotted. MB stood beside that sign and was so engrossed in the historical content that he missed some 10 or so bullet holes. MB has now zoomed in on the pic in great detail and can make the following Sherlock Holmes like deductions. Bullet Nr 1 has exited next to the Georgian Society. So presumably this shot was fired by a marksman from some Architectural rival grouping – with access to heavy caliber weapons. 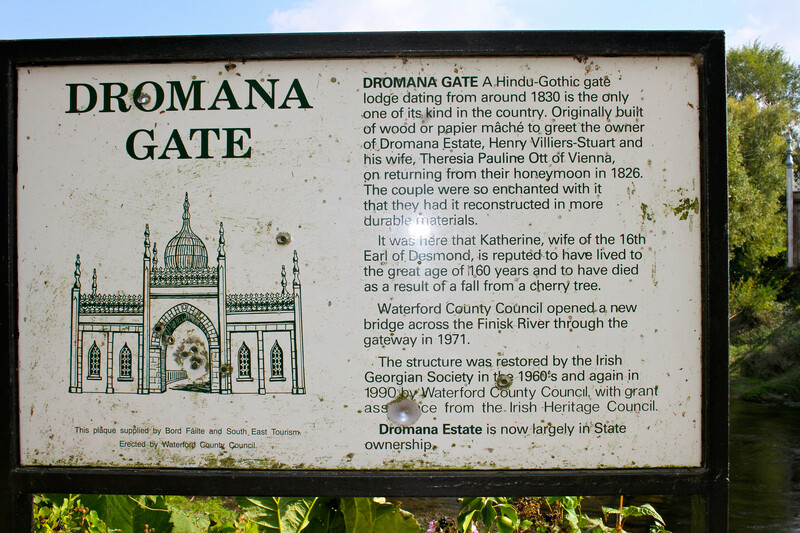 The remainder of the shots were fired, with considerable success, at the gate entrance area of the sign. This is where Lord & Lady whats-their-names returned from the honeymoon to enter the estate. So the shooters were possible ‘Brits Out’ supporters. Or possibly some Austrian tourists descendants of some Prince from their homeland who was rejected by the Miss Ott who married the Paddy Lord instead of one one of her own. We can well understand her rejection of some boring Germanic Lord, but who was possible very good at car/carriage design back in the day. Think MB has solved the riddle of the riddled sign!